Can Alain de Botton’s latest book helps us to develop healthier news-reading habits? 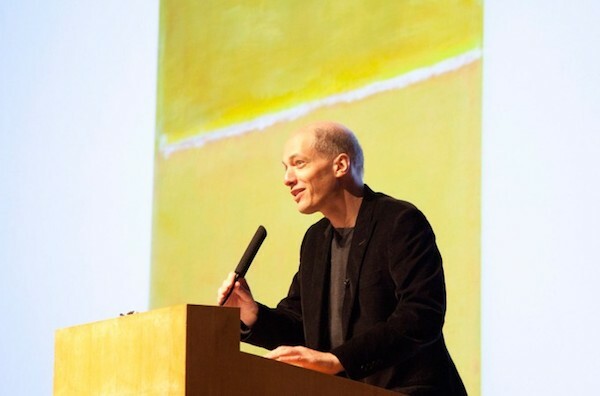 It’s Sunday morning, and in an uninspiring lecture hall somewhere in the boondocks of Bloomsbury, bestselling popular philosopher Alain de Botton is teaching us how to read a newspaper. He brings up a slide showing a photograph of a glacier crumbling into the sea, then flicks to a photograph of Taylor Swift in a pair of shorts walking along a sunny LA street. One is news, the other is not. But why? And how, as a society, can we rise above our Twitter-fuelled deluge of real-time ephemera and use news to become better people, and think deeply about the issues that really matter? If you bookend your day with compulsive glimpses at the BBC News app or spend guilty lunch-hours bingeing on the Mail Online’s Sidebar of Shame, de Botton’s manual makes uncomfortably acute reading. Promising “to bring calm, understanding and a measure of sanity to our daily (perhaps even hourly) interactions with the news machine”, he analyses 25 classic news stories to prove that most ‘breaking exclusives’ are in fact the same old archetypes served up in different wrappers. Envy is fed; fears are resurfaced; relief washes through us when we witness that it is someone else’s turn for disaster today.